Dacia, in ancient geography the land of the Daci or Getae, was a large district of Central Europe, bounded in to the north by the Carpathians, to the south by the Danube, to the west by the Tisa (Tisza river, in Hungary), and to the east by the Tyras (Dniester or Nistru, now in eastern Moldova). It thus corresponds in the main to modern Romania and Moldova. The capital of Dacia was Sarmisegetusa. The inhabitants of this district are considered to belong to Thracian stock. 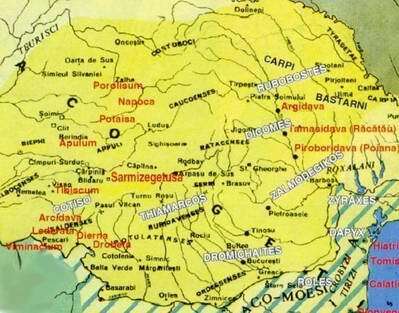 The Dacians were known as Geton (plural Getae) in Greek writings, and as Dacus (plural Daci) and Getae in Roman documents; also as Dagae and Gaete — see the late Roman map Tabula Peutingeriana. Ancient writers are unanimous in considering the Getae the same as the Daci. 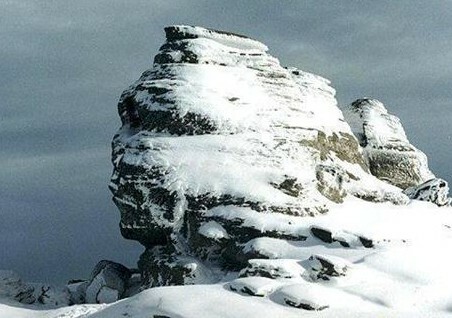 There were three distinct historical periods of Dacia. * One was the Dacia of King Burebista, stretching from Bug river in what is today the Ukraine to the Danube river in what is modern day Slovakia, and from Balkan mountains in what is modern Bulgaria to Transcarpathia in what is modern dayUkraine. * The second one was the Roman province Dacia Trajana, established as a consequence of the Dacian Wars during 101-106AD, comprising of the regions known today as Banat, Oltenia and Transylvania. * The third one was the Roman province Dacia Aureliana, reorganised inside former Moesia Superior after the abandonment of former Dacia to the Goths and Carpi in 271AD. Accordingly the territory of Dacia varied according to the above timeline. Towards the west it may originally have extended as far as the Danube where it runs from north to south at Waitzen (Vacz). Julius Caesar in his De Bello Gallico (book 6) speaks of Hercynia forest extending along the Danube to the territory of the Dacians. Ptolemy puts the eastern boundary of Dacia Trajana as far back as the Hierasus (Siret river, in modern Romania).